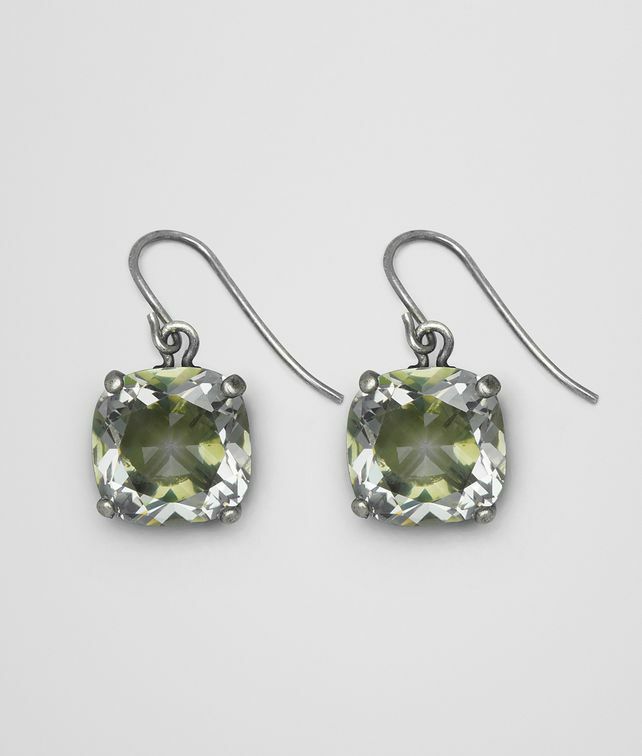 These elegant silver drop earrings feature a brilliant cubic zirconia stone. The stone is faceted and hand-enamelled by Bottega Veneta's master jewellers, for a unique sparkling colour effect. The chamomile green hue is new for the season.